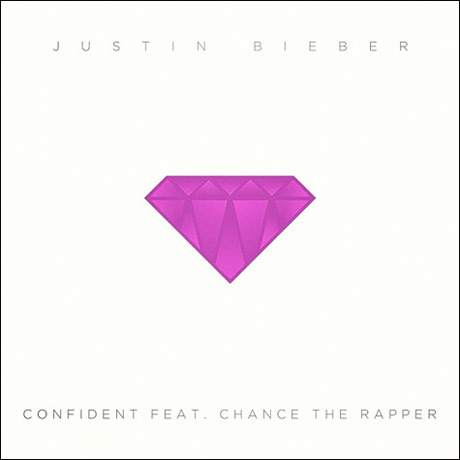 As promised, Canadian pop sensation Justin Bieber has teamed up Chicago up-and-comer Chance the Rapper for a new track. "Confident" sees Bieber doing his best Justified-era Timberlake, offering up sexed-up R&B about a nice female companion in his midst. It's not all that bad, at least compared to some of the Biebs' previous output. Then Chance the Rapper comes in with some quick-spitted raps. As previously reported, the track comes as part of Bieber's #MusicMonday, whose songs will be collected on a new release called Journals. It will feature five tracks and include other guests R. Kelly, Future, Lil Wayne and Big Sean, as well as production from Diplo. The record will arrive December 16 on iTunes.